If we talking about Best tattoos artist in Delhi NCR then one image comes in our mind first that is Mr. Gaurav Sharma.Tattoo Artist now aren’t a thing just for the swaggers, cool bikers and bad boys. Tattoos are for everyone now. Every son, boyfriend, mother, daddy, husband has one to out show their love for someone or something or just to get a possible style. The number of people getting inked increase every now and then. 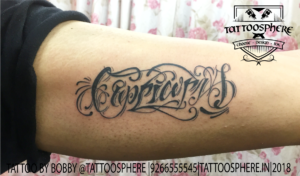 Over the past few decades, there has been a considerable growth in the best tattoo artists in Delhi India and the country’s capital Delhi. Not just anyone can be a tattoo artist.Being a tattoo artist requires a lot of skills, creativity and a pair of experienced hands. Tattoo art is like the more you do the better you learn. Tattoo representation is a wide activity, it can be as tiny as a semicolon or as large as a silhouette of a city on your neck or wrist. Tattoo artists are not just limited to amazing tracing or drawing skills, but there are times that the customer demands to spin a design which they have in mind. The tattoo artists are efficient enough to understand the customer demands and come up with a design which adheres to customer expectations. The artist brings ideas to life. Understanding and relating to customer’s thought is the art which the tattoo artist should master. Materializing the idea should be the artist’s priority. It takes talent and creativity of the artist to come up with a design that has the qualities which the customer desires with an artistic and creative touch. A tattoo artist is given a blank canvas to create beautiful artwork. The challenge lies when the artist is asked to tattoo anywhere, a bald head, on back, shoulder or waistline or anywhere where the customer desires. There are tattoos which start from shoulder and end on the neck or may start on the waistline, this requires adjusting the tattoo to the area perfectly so that it does not look shabby or amateur. The tattoo resizing might take quite long, it might require resketching the whole design. This might be the crux of the matter for a plain Jane. No one wants a bad tattoo, it is all on you to get a perfect tattoo by deciding a perfect tattoo artist in India. Some points which you should consider before getting inked. Experience– If you are planning to get a complicated design as a tattoo, you should certainly go for an experienced tattoo artist. A simple yin yang tattoo or a semicolon isn’t a hard nut to crack but when it comes to a convoluted design, you should certainly inquire about the training and experience of the artist. The condition of the parlor– Certainly, you should look for a tattoo artist in Delhi and throughout the country who has a perfect workplace that indicates their level of professionalism. Brand new needles should be used. The artist should dispose of waste properly and he/should wear proper gloves. References– always choose the artist with whom either you or someone known had got a tattoo. 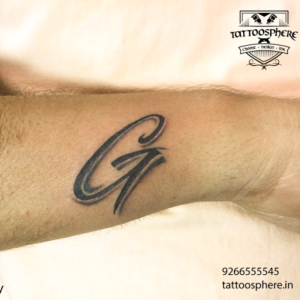 Go for references, inquire your friends and family members who have got inked recently because getting first-hand references is important to decide an artist. If you have enough time, try making a visit to body-art conventions to get knowledge about the best tattoo artists in Delhi or your city in India. Comfort– Try finding an artist with whom you can easily gel up with your ideas and thoughts so that you don’t face enough problem telling the artist about your idea and expectations with the tattoo. Ask questions freely about how to take care of the tattoo or what time it will take to heal, etc.